Resting at: Kichocha, Uttar Pradesh, India. Serajul Arefin, Zubdatus sa lehin, Ghousal Alam Sultan Hazrat Syed Makhdoom Ashraf Jahangir Simnani (رحمتہ اللہ علیہ) is such an eminent and outstanding spiritual personality of the world of mysticism, whose shining sun of spirituality and knowledge (marfat) has illuminated every corner of the world. Let us have a look at his life and works. • Alhamdu Lillaah Rabbil Aalmin vasslaty Vasslamu AlaaRasulehi Mohammed Ashrful Ambiyahe W-alla Allahi vasahabehi Ajmaeen. • Illahi bahurahmate Huzur sarware Kaa-e-naat Fakhre Mojudat Tazdare Ambiyaa Saiyede Aalam Mohammed Mustafa Sallalaho Alihe Wasallam bin Hazrat Abdullah bin Hazrat Abdul Mattalib bin Hazrat Hashim. Father: Syed Ibrahim Noor Bakshi (رحمتہ اللہ علیہ) was the father of Sultan Syed Asharaf Jahangir Simnani (رحمتہ اللہ علیہ). He was the king of Simnan, where he ruled with utmost Justice and sincerity for 20 years. He was not only a king , but a proficient scholor of theology, and inwardly inclined to mysticism. (Tasuvvf) He respected Islamic savants and patronized Islamic institutions. That is why in his regime, twelve thousand students were gaining education in different institutions. He often met mystics (Sufia) of his time and gained mystical knowledge. He got constructed a Khanquah (an abode for holy men) of Hazrat Shaikh Hasan Sakkak (رحمتہ اللہ علیہ) and shrine of Imame Azam (رحمتہ اللہ علیہ).He was deeply fond of studying books particularly Tarikhe Tibri was in his regular study. Hazrat Nazame Yamani (رحمتہ اللہ علیہ) in Lataefe ashrafi, has mentioned that Hazrat Makhdoom Simnani (رحمتہ اللہ علیہ) used to say that twelve thousand Islamic institutions were functioning in his father’s regime. Mother :- Bibi Khadija Begum (رحمتہ اللہ علیہ) was the mother of Syed Makhdoom Ashraf Simnani (رحمتہ اللہ علیہ). She belonged to the dynasty of Khwaja Ahmed Yeswi (رحمتہ اللہ علیہ) who was a distinguished Sufi (Mystic) of his time and founder of Yewaisia order. She was brought up in a neat and pure religious surroundings as result of which she was deeply religious minded, pious and godly. She passed most of his time in prayer and recitation of the holy Qurran. She often observed fasting in day and woke up at night to be engrossed in prayer. She was very very punctual to Tahajjud (Prayer said after midnight ) In short, Khadija Begam (رحمتہ اللہ علیہ) was the trustworthy of spiritual trusts of her ancestors. Prophecy of Birth: His father, Sultan Ibrahim (رحمتہ اللہ علیہ) married with Bibi Khadija Begam (رحمتہ اللہ علیہ) at the age of twenty five years. He had only two or three daughters and no son, After the birth of daughters, there was no issue up to eight years. He was grieved at heart. One morning, he and his wife Bibi Khadija Begum (رحمتہ اللہ علیہ) were sitting together on Musallah (Carper for saying prayer) All of a sudden Hazrat Ibrahim Mazzoob (رحمتہ اللہ علیہ) entered in to the palace. Both were astonished to see him. Hazrat Sultan Ibrahim (رحمتہ اللہ علیہ) stood up and went forward to greet him. He made him sit on the throne and both husband and wife were standing bending their heads before him . Seeing such a noble courtesy meted out to him, he said “ Probably you are desirous of son ”. Hearing it both were extremely glad and said, “ It will be our good luck if you bestow a son ”Ibrahim Mazzoob (رحمتہ اللہ علیہ) again said, “It’s price is very much as I will give you an extra ordinary thing” . Sultan Ibrahim (رحمتہ اللہ علیہ) readily said, “whatever you order, I am ready to fulfill it .” Ibrahim Mazzoob (رحمتہ اللہ علیہ) said, “I want one thousand Dinar.” Sultan Ibrahim (رحمتہ اللہ علیہ) presented one thoudand dinar before him. Ibrahim, Mazzoob (رحمتہ اللہ علیہ) stood up happily and said, “O Ibrahim (To Himself) you gave hawk (baz) to Sultan Ibrahim and he bought it cheap. ” Hazrat Sultan Ibrahim (رحمتہ اللہ علیہ) went forward with him as a respect. Turning back, Ibrahim Mazzoob (رحمتہ اللہ علیہ) saw him and said, “ What do you want more; you have got your son.” It is also narrated that one night Hazrat Mohammad Mustafa (صلى الله عليه وسلم) came in his dream and predicted that a Waliullah (Friend of Allah) was to be born in his house; His name will be Syed Ashraf. Viz : He had become so famous from his very student life that the men of letters admitted (His intelligence). After the sad demise of the father, sultan Ibrahim (رحمتہ اللہ علیہ) became the king of Simnan at the age of 15 years. He ruled over Simnan with utmost justice and impartiality for twelve years. He gained popularity as a true , sincere and just king in every corner of simnan. Peace and tranquility prevailed every where. The subjects were prosperous and happy. No citizen dared to tyrannise anyone. Hazarat Nizame Yamani (رحمتہ اللہ علیہ) has narrated an incident listening from Hazrat Alauddowla simnani (رحمتہ اللہ علیہ) that Syed Ashraf Jahagir (رحمتہ اللہ علیہ) went out for hunting along with his soldiers. He continued hunting in the rural areas for two or three days. He was looking at an animal caught by hawk (Baz). Just at that time an old woman from the village approached him seeking justice. She narrated that one of his soldier had forcibly taken her curd. Syed Ashraf Jahangir simnani (رحمتہ اللہ علیہ) asked her to recognize amongst those soldiers who had taken her curd. She said that the culprit was not amongst them .Just at that moment, a soldier appeared coming with a hunting in his land, looking at him the old woman recognized and told that was the very person who had forcibly taken her curd. The soldier denied the allegation but Hazrat Makhdoon Simnani (رحمتہ اللہ علیہ) asked him to eat some flies. No sooner did the flies go into his stomach than he vomitted and the curd came out. Hazrat Makhdoon Simnani (رحمتہ اللہ علیہ) gave away his horse with saddle to the old woman and beat him black and blue. Hazrat Nizame Yamani (رحمتہ اللہ علیہ) has given description of his justice in the following couplets which is translated into English Below. Ke En Dowre Sultan Ashraf Bowad. Chuna Zulme Tu Bar Sare Man Rawad. a. When the throne of Simnan flourished due to him, his justice spread in the world b. In the period of his justice, whole world turned in to garden and justice bore fruits. c. If elephants wants to pass through the head of ant, the ant looks at with stiff eyes. 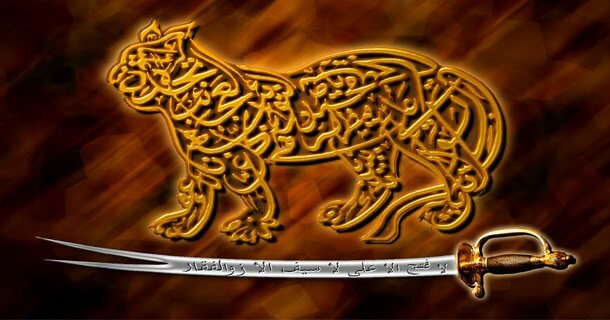 d. That it is the period of sultan Ashraf, how can your tyranny be justified on me. After staying for some days and nights, he left for Pandawa Sharif and arrived at the shrine of Hazrat Data Ganj bakhsh Lahouri (رحمتہ اللہ علیہ) where he also availed spiritual guidance. From there he reached Delhi where he attended at the Shrines of Hazrat Qutbuddin Bakhteyar Kaki (رحمتہ اللہ علیہ) and Hazrat Nizamuddin Mahboobe Ilahi (رحمتہ اللہ علیہ) and obtained spiritual blessing and benediction. When he arrived in India , Feeroz Shah Tughlaque was ruling over India. When the kingly crown was on my head by his kindness this patched garments will suit on my body . What a good that after long waiting, reaches the hopeful to his destination. Alaul Haque Waddin Ganje Nabat. Meaning: Hazrat Alaul Haque waddin placed the kingly crown on my head. When four years passed in the company of Shaikh, during which period he was attributed with the honour of all secrets of mysticism and spirituality. One day Hazrat Alaul Haque Waddin (رحمتہ اللہ علیہ) said O Ashraf, “ I have completed all Haquaequw a Marif(Realities and Knowledge) on you ; I like to set a palce for you where you have to light the candle of rectitude and reformation. Hearing it, tears filled in his eyes as he did not like seperation from his shaikh., So only idea of seperation was unbearable for him. However he had to leave Pandawa Saharif for his destined place, Kichowcha Sharif on the direction of Shaikh who showed him the place which would be his permanent place of reformation and eternal abode. He left for Kichowcha Sharif passing through different places of Bihar, Zafara bad and Jaunpur. He stayed at jaunpur for a few days where Sultan Ibrahim Shah Sharqui and Quazi Shahabuddin Dowlat Abadi were highly impressed with him to see his sublime spiritual dignity and purity of character. Form there he marched to his fixed place and arrived at Kichowcha sharif. It is an accepted fact that the mystics of Islam have renderd valuable services to the cause of Islam in every period. The religious and literary services, done by Hazrat Makhdoom simnani (رحمتہ اللہ علیہ), is the golden chapter of History of Islam in general, and History of mysticism , in particular. He lighted the candle of reformation and spirituality in the darkness of infidelity at Kichowcha sharif and brought astray people on the right path. It is narrated that twelve thousands non believers accepted Islam being impressed with his purity of character and sublimination of spirituality. He was not only a great mystic but also a renowned savant of Islam having inimaginable proficiency in different branches if Islamic theology. Hazrat Nizame Yamani (رحمتہ اللہ علیہ) in his book, lataefe Ashrafi, has written that wherever he went he delivered spiritual lectures in the dialect of that area and wrote 4 books in the same dialect and left the written books there for their benefits. Hazrat Sultan Makhdoom Ashraf Jahangir Simnani (رحمتہ اللہ علیہ) did not know the geography of the world by going through books rather he knew it by travelling everywhere in the world. He journeyed to the most of countries of the Arab O Azam and brought thousands of astray persons on right path by his preaching and presenting Islamic theology vividly. He had full command on Arabic, Persian and Turkish languages as a result of which he used to deliver the most productive lectures making the audience lost in the world of spirituality and oneness of Allah. Hazrat Sulatan Syed Ashraf (رحمتہ اللہ علیہ) attained the status of Mahbooyat (Belovedhood) i. e Mahboobe Yazdani on 27th Ramdan 782 (A.H.) while he was amongst his disciples at Roohhabad. Suddenley it began to sound from every corner “Ashraf is my Mahboob” This heavenly sound was glad tidings of the status of Mahboobyat (belovedhood) since then, he began to be called “Mahboobe Yazdani” It was the sublime spirituality of Hazrat Sultan Makhdoom Ashraf Jahangir Simnani (رحمتہ اللہ علیہ) that he performed morning prayer in Masjide Haram daily. The day he was bestowed with this spiritual honour Hazrat Najmuddin Asfahani (رحمتہ اللہ علیہ) was in Kaba Sharif. Seeing Sultan Simnani (رحمتہ اللہ علیہ) coming to say morning prayer in Kaba he said “Come, Come Mahboobe Yazadani; may this title from Allah be fortunate for you. 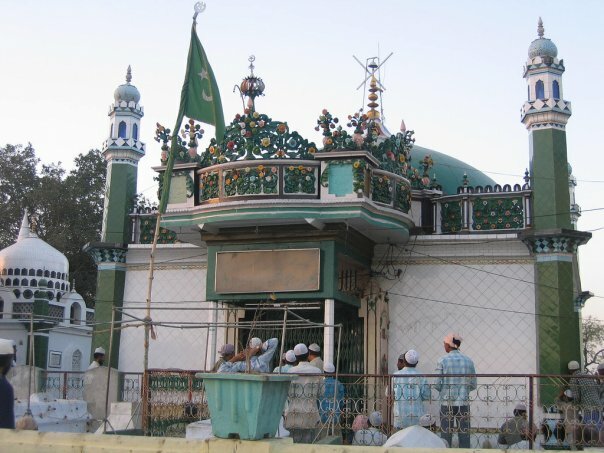 It is a historical fact that Hazrat Sulatan Makhdoom Simnani (رحمتہ اللہ علیہ) was endowed with the dignity of Ghous in the Khanqah of Hazrat Banda Nawaz Gesu Daraz (رحمتہ اللہ علیہ) on first Rajab 770 (A.H). Hence forward He is called as Ghousul Alam. The title of Jahangir tagged with his name is also very famous. One day he was in the Khauqah of his Shaikh (رحمتہ اللہ علیہ) amongst the disciples. All of a sudden, echo of Jahangir Began to resound from the doors and walls of the Khanqah. Hearing it, Hazrat Shaikh Alaul Haque (رحمتہ اللہ علیہ) engrossed in meditation (Moraquba) and after a little while, raised his head and honoured him with the title of Jahangir as it was a heavenly title confirmed on him. 1. Knowledge is the shining sun and skills are its rays. 3. Gain knowledge as illeterate devotee is the follower of Devil. 4. The difference between Islamic Savant and worldly savant is just like the difference between pure and impure silver. 5. Astrayed learned is like the sunken boat which sinks itself and makes others drown. 6. Learned without action is like a glass without tin (Qualai). 7. Don’t be empty handed of actions and conditions; make sure that only Knowledge can not help you. 8. Remembrance of virtuous persons and memoir of mystics is a light that cast shadow on the seeker of guidance. 9. Recollect any word of a holy man; and if it is not possible keep in mind his name; You will be benefited. 10. To know is shariat (Revealed Law) and make practice in accordance with knowledge is Tariquat (Path) and to achieve objectives of both is Haquiquat (Reality). 11. He, who does not follow Shariat (Revealed Law) in tariquat, (path) is deprived of benefits of Tariquat (Path). 12. The man who will be staunch follower of shariat, (revealed law) the way to Tariquat will open automatically; and when he would have obtained Tariquat (path) with shariat (revealed law) the splendour of Haquiquat (reality) will itself be illuminated. 13. In suluk (Holy way) if one commits slightest deviation from the way of obedience to The Holy Prophet (Sal Allaho Alaiyhe Wa Sallam) then it will be impossible to reach desired destination. 14. To create love and affection of Allah in the hearts of Slave (Banda) and get their hearts engrossed in the intimacy of Allah is the work of Mashaekhe Tariquat (Holy persons of path). 15. Shaikh (Elder) is just like a competent and experienced physian who diagnoses medicine suitable to the disease and temperament of the patient. 16. Food is like a seed which takes root in the land of salik’s stomach and grows tree of actions (Aamal) if the food is lawful the tree of good action grows; and if it is unlawful, the tree of disobedience and sin grows; if it is doubtful the tree of vicious ideas and negligence in prayer grows. 17. After performing Faraezo wajebat (Divine command and obligatory) it is essential for seeker of spirituality to pass his valuable life in the company of holy persons as only one meeting with such persons is so much useful that can’t be gained by a number of chillah (sitting in meditation for fourty day) and vigorous Mojaheda (Great struggle). 18. A slave (Banda) should pray and merciful (Karim) is worthy of kindness; one should be so engrossed in his prayer that he should forget one’s existence. 19. It is the condition that one should be guarded from sin as is the conditions for The Prophet (Sal Allaho Alaiyhe Wa Sallam) to be guiltless (masum). 20. One of the conditions of wali (Friend of Allah) is that he should be follower of The Prophet (Sal Allaho Alaiyhe Wa Sallam) in his word, action and belief. 21. The condition for wali (Friend of Allah) is that he should be learned not ignorant. 22. Aulia (Friend of Allah) are companion and minister of the Devine court and act according to wishes of Allah. 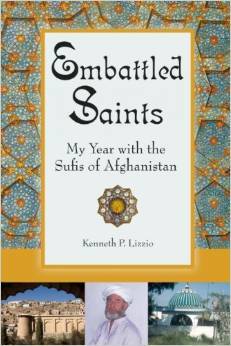 In his book Akhbarul Akhyar, has mentioned him as a great Sufi (saint) of his time. About his Shrine at Kichowcha Sharif , he has written that it is very effecious to repel Aseb and Zin and for this, it is famous every where. With reference to lataefe Ashrafi, compiled by Hazrat Nizam Yamani (رحمتہ اللہ علیہ), he has acknowledged his greatness as a savant of Islam by presenting his theological and philosophical ideas particularly his notion about the belief of Faroah (Firun). Hazrat Shaikh Abdur Rahman Chisti (رحمتہ اللہ علیہ) writes “ He (Syed Ashraf) had khelafat from fourteen order because he has availed the company of all holy saints (Sufis) of his time. After Hazrat Nizamuddin Mehboobe Ilahi (رحمتہ اللہ علیہ) he revived spiritual instructions and reformation ; In the declaration of realities he was the interpreter of words of Allah, Hadith of the prophet (Sal Allaho Alaiyhe Wa Sallam) and sayings of Hazrat Moula Ali Murtaza (رضي الله عنه). It is a historical fact that Hazrat Sultan Syed Ashraf Jahangir Simnani (رحمتہ اللہ علیہ) made kichowcha Sharif centre of his rectitude (Rushd) and guidance at the intimation of his Shaikh Hazrat Alualhaque Waddin Pandwi (رحمتہ اللہ علیہ). He came here and got constructed. Khanqahe Ashrafia taking part himself in the construction work with his disciples. He also got constructed two mosques: one for gents and second for ladies and a tomb on his private room. At that time, kichowcha sharif was inhabitated by Sadhus (Sairts) and Jogies (Hermits). Consequently, the darkness of infidelity had taken this area in its grip. Hence one can easily assess the difficulties faced by him in settling there and lighting the candle of Islam. But his spiritual eminence and purity of character, which has been the special characteristic of Sufi (Holy Saint), made the non – believers captivated , and in short period , millions of infidels accepted Islam and came in the Silsilae Ashrafia (Order of Ashrafia). In short, his services to the cause of Islam and mysticism are undoubtedly of great value and a landmark in the history of Islam. (1) Once he was travelling in the juridiction of Amir Taimur who was captivated to see him and showed utmost regard to him. Climbing on a hill with Hazrat Makhdoom Simnani (رحمتہ اللہ علیہ) he said , “As far as your eyes see; I will make gift all the areas coming in your sight.” Hazrat Makhdoom Simnani (رحمتہ اللہ علیہ) said,” You are not the owner of the area coming in my sight, “ Then he kept his hand on his head and asked as to what he was seeing. He replied that he was seeing Mecea and Media . Then he again enquired if that area belonged to him . Amir Taimur replied in negative and got ashamed . His firm belief (Aquidat) and supplication (Neyazamandi) increased a good deal to see such a great mystic in whose sight is whole world. (2) Once a woman, taking his half dead son, came to his Khanquah (an abode for holy man) and entreated with tearful eyes to pray for his life. In the meantime, the boy took his last breath and died before him. She began to weep bitterly and said with folded hands. You are Allahs friend (Waliulah); Bring my son to life.” He said , “ life and death is in the hand of Allah; what a slave (Banda) can do.” Hearing it , the ill-fated woman started weeping with such mournful voice that his heart filled with pity and an astonishing condition prevailed on his face. Solacing the grieved woman , Hazrat Makhdoom Simnani (رحمتہ اللہ علیہ) said in full eminence (Jalal), “I give ten years from my life and after ten years this boy will die.” He prayed to Allah for his life and ordered the dead boy to stand up in the name of Allah . The dead boy stood up and got life for ten years. Truely he died after ten years. When Hazrat Makhdoom Simnani (رحمتہ اللہ علیہ) came to kichowcha Sharif from Jaunpur , the first man who met him was Malik Mohmood (رحمتہ اللہ علیہ). He visited the round tank with Malik Mahmood (رحمتہ اللہ علیہ) and told that was the very place intimated by Shaikh Alaul haque Waddin (رحمتہ اللہ علیہ). Malik Mahmood (رحمتہ اللہ علیہ) told him that there lived a veteran Jogi (Hermit) with his five hundred disciples who would not tolerate his presence there. Hazrat Makhdoom Simnani (رحمتہ اللہ علیہ) asked one of his followers to go and ask the hermit (Jogi) to vacant the place and go elsewhere. The hermit told in reply that it was very difficult to turn him out from there except with the power of miracle. Hearing it, Hazrat Makhdoom Simnani (رحمتہ اللہ علیہ) asked Jamal uddin Rawat (رحمتہ اللہ علیہ) who had come in the chain of his disciples very day to go and present before the Jogi (Hermit) what he desired . Jamaluddin (رحمتہ اللہ علیہ) hesitated a bit but Hazrat Makhdoom (رحمتہ اللہ علیہ) called him and put the betel leaf he was chewing in to his mouth as a result of which his condition changed. He went with endowed courage and bounty to face the great Juggler (Shobadah Baz) hermit. The hermit used all his powers of conjurity but failed . At last , he threw his hand stick in the air and Jamaluddin Rawat (رحمتہ اللہ علیہ) too sent the stick of his Shaikh in the air. It brought down the stick of the hermit beating harshly . At last the hermit Surrendered and asked to take him before Hazrat Sultan Makhdoom Simnani (رحمتہ اللہ علیہ) He went there along with his five hundred followers and bowed down his head on his feet and embraced Islam will all his followers. (3) On his return from Pandawa Sharif one morning he was sitting with his disciples after prayer of Ashraque (Prayer after Sunrise) Some jestlers came there to ridicule him. They brought an alive man wrapped in coffin in the shape of a dead body and requested him to say funeral prayer . When these jestlers pressed him much, he asked one of his disciples to say funeral prayer according to their wishes.The disciple said funeral prayer. They were waiting for his standing up but he was actually dead. This astonishing miracle spread just like wild fire in the town and created uproar. Hazrat Nizam Yamani (رحمتہ اللہ علیہ) has written a couplet on this incident. Bajuz Girya Azo Digar Che Ayad. Meaning: He who ridiculed with elders, would get nothing except weeping. Once Hazrat Makhdoom Simnani, (رحمتہ اللہ علیہ) with his disciples was passing through Banaras. One of the disciple was fascinated to see an idol in the temple and kept on seeing it. The carvan of Makhdoom Simnani (رحمتہ اللہ علیہ) had marched to some distance; it came to know that a disciple lagged behind and is in the temple. Hazrat Makhdoom simnani (رحمتہ اللہ علیہ) asked one of his followers to go and tell the idol to come with him. He went there and told as he was ordered. The idol moved and changed in to a beautiful girl and came before him and embraced Islam. Hazrat Makhdoom Simnani (رحمتہ اللہ علیہ) got his lover disciple married with the idol. Teere Jasta Baz Gardanadz Rah. The above stated miracles indicate his mystical and spiritual status and also extraordinary and most valuable services to the cause of Islam. It can be said without fear of contradiction that so long the world exists, The flag of his greatness and supremacy will continue unfurling and candle of spirituality lighted by him will go on showing light to humanity. Every followers of Ashrafia order should endeavor to follow the doctrines laid down by him so that one may avail the benefits of both world. Hazrat Makhdoom Simnani (رحمتہ اللہ علیہ) left this world on 28th Muharram 808 (AH) Before his death, he had got prepared his grave. He went on 26th Muharram to visit his grave where he saw pen and paper kept in the side of grave. He sat in the grave and wrote two booklets namely Basharatul Muradin and Resalai Qubria some extracts from Resalai Quabria is presented. In this short time (how long I stayed in the grave) seventy thousand splendor (Tajalli) of elegence (jamal) of Allah descended on this Faquir ; and intimate friends (Moquarraban) of Allah (Angiles) showed so much exalting (Izaz) and kindness that can’t be expressed in words; the announcer from the Sublime court of Allah (Bargehe Ilahi) announced in the world of angiles (Alame Malakut) That “ Ashraf is my beloved (Mahboob) I (Allah) write kindness and forgiveness on the forehead of his disciples; and cares his disciples with absolution (Magferat) and forgiveness (Mafi)”. All prais to Allah this glad lidings for our campanions. After that it was the order of Allah, eight thousands angles Thirty thousand of Haramain sharifain , one thousand from bailtul Moquaddes , one thousand s Abdal of Maghrib (west) one thousand Rejalud Ghaib of Sarndip and one thousand maradane Ghaib from yaman will perform your bath your funeral prayer will be said infront of baillutulah Sharif and you will be buried in the earth for the benefit of slaves (Banda); he who comes on your grave will get his end and absolution (Maghferat).